You are going to Watch Kaijudo: Rise of the Duel Masters Episode 13 online free episodes with HQ / high quality. 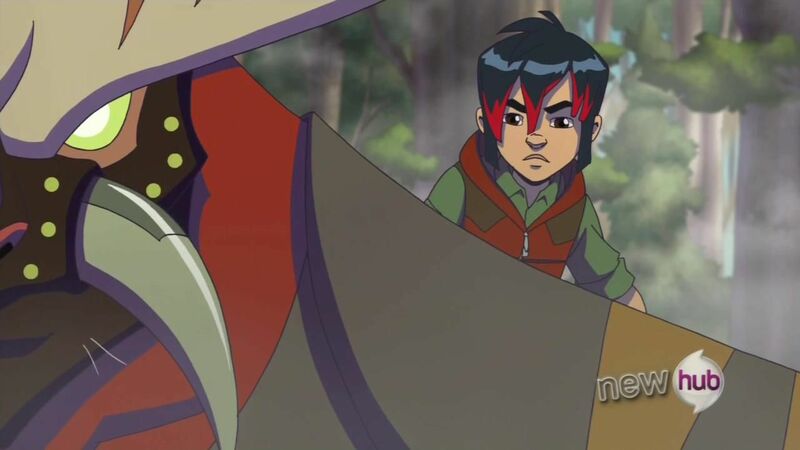 Stream cartoons Kaijudo: Rise of the Duel Masters Episode 13 Online The Last of His Kind.On a mission to hunt down a primitive Bigfoot-like creature known as Roaming Bloodmane, Ray, Gabe, Allie, Master Kimora, and Master Jaha quickly discover there is far more to the beast than meets the eye. When Master Kimora and Master Jaha are captured in a water-filled death trap, Master Nigel, Master Nadia, and Master Chavez are called out to fight Roaming Bloodmane.